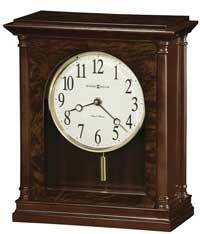 This 79th Anniversary Edition mantel clock combines classic style with contemporary details. Wood columns frame all four corners of the case; elegant burl adds a touch of luxury to the front and top panels. The front beveled glass offers a view of the large, easy to read off-white dial, which features a polished brass bezel, Arabic numerals, and stylish black hands. A unique polished brass, cylindrical swinging pendulum complements the bezel. Finished in Golden Oak on select hardwoods and veneers. 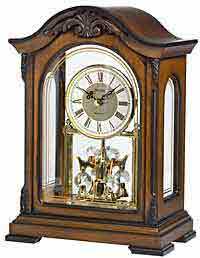 Quartz, dual chime movement plays Quarter hour or hourly Westminster or Ave Maria chimes. Volume control and automatic nighttime chime shut-off option. 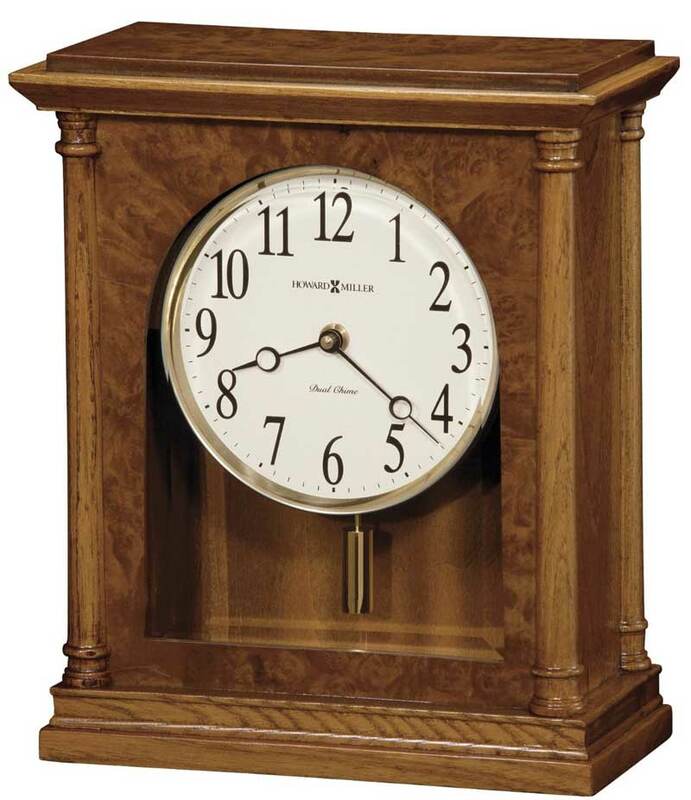 Size: H. 11-1/2" W. 9-3/4" D. 4-3/4"
Clocks for sale at The Clock Depot including the 635-132 at discount prices.